John Cradock Ltd was established in 1987 with the initial focus on bridge construction works. We have not lost sight of this guiding principle and bridges, underpass and civil structures of all kinds remain a key strength and focus within the company. We have garnered experience and knowledge in the repair, refurbishment and replacement of civil structures all over the country dealing with all possible issues (road, rail, river, canal, traffic, pedestrians, services) and have the in-house expertise to undertake any structures project. We have built, widened, strengthened and repaired bridges, ranging from timber footbridges to concrete motorway bridges, over and under live railways and roads and over rivers and canals. This background gives us access to a wealth of experience and knowledge, which we can in turn offer to our Clients. Most civil structures involve substantial risk, with roads/rail/water adjacent to the works, working at heights, major temporary works, existing live services and interface with the public. JCL have invested heavily and have both the systems and the trained personnel to implement them. JCL were awarded the contract for this project by Kilkenny County Council in 2014. 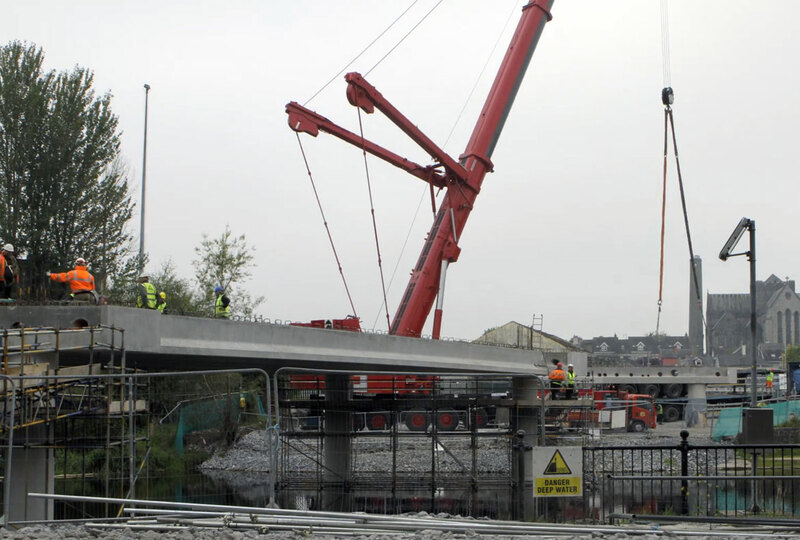 It is the largest bridge project that the company have ever undertaken, being a 125m long, 5 span concrete bridge spanning the River Nore (A designated SAC) in the centre of Kilkenny. Substantail environmental, ecological and health & safety requirements with two piers requiring major in-river temporary works. The new bridge includes structural and stainless walkways attached to both sides, with a viewing platform offering previously unattainable views of Kilkenny Castle.